I love Kate Spade … like love-love (who doesn’t?). From the bows to the glitter to the cheery colors, it’s all so cute, but in a good way! Although I can’t afford to fill my wardrobe with the brand, I definitely try to replicate the look when I can. Which is exactly why I was excited to the see the fall 2014 collection. The collection is full of the usual classic shapes and bright, fun colors. I especially liked the following look. It’s a little more subdued, but can be worn now and into spring. Start with a classic black turtleneck. This Cashmere Turtleneck Sweater from Pure Amici is super cozy and a great buy, too. Choose a swingy a-line skirt. The skirt was the hardest piece to find, however I like Mossimo’s Ponte Fit & Flare Skirt, which has the bonus of being a bargain. Do you sew? The Miette Skirt from Tilly and the Buttons is almost a dead-ringer for the Kate Spade version, and it even has a built-in bow. There are lots of vintage/handmade options on Etsy, too. Add a bow at your waist. This metallic Faux Leather Bow Belt from Tarnish works perfectly. Carry a structured handbag. Splurge on The Cambridge Satchel Company’s The Shoulder Bag or save on a Merona Crossbody Handbag. Wear a leopard flat. Splurge on Donald J Pliner’s Viky Loafer or save on Mossimo Supply Company’s Odell Ballet Flat (a steal: I’m on my second pair). Have fun with your sunglasses. The slight cat eye shape of Kate Spade’s Retro Sunglasses is cheeky and bold. Keep your jewelry simple. Bauble Bar’s Mini Onyx Decor Studs add just enough sparkle. One of the things I love about this outfit is the versatility. Vary the look by swapping the skirt for a pair of cropped, camel-colored pants or add tights and boots on a cold, snowy day. Once the weather warms up, swap the sweater for a black t-shirt. You can check out more of the Kate Spade New York Fall 2014 collection on Style.com. 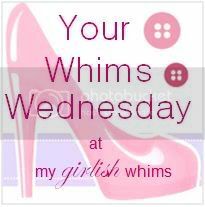 I’m linking up with Your Whims Wednesday, The Pleated Poppy’s What I Wore Wednesday, Get Your Pretty On’s I Feel Pretty, All Things Thursday, Vodka Infused Lemonade’s Tres-Chic Fashion , Thursday, Be.You.Tiful Link Party, Simply Lulu Style’s What I’m Loving Fridays, Style Elixir’s Friday’s Fab Favorites, Monday Mingle, and Totally Posted Tuesday.